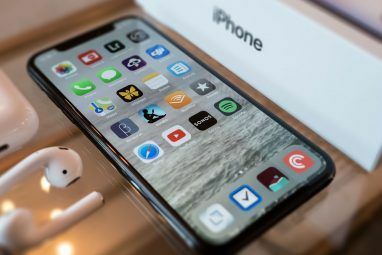 One of the iPhone’s most useful features is its ability to notify you about just about anything, but left unchecked, this feature can quickly get out of control. As more and more apps compete for your attention, it pays to know how to keep a lid on things. Apple has worked notifications into almost every corner of iOS — from the lockscreen to a dedicated Notification Center that’s accessible with a simple swipe. Today we’ll be looking at what you can do to make notifications useful again. Almost every app that you install these days asks for permission to send you notifications, even if that doesn’t seem necessary to its core operation. Some of the biggest culprits are free to play games No Hidden Cost: 7 Free-To-Play Games That Are Actually Free No Hidden Cost: 7 Free-To-Play Games That Are Actually Free Mobile gaming has a problem. You download a game, you start playing, but you hit a paywall. These games don't have that problem at all. Read More , which use the system to encourage you back after long periods of absence even if you haven’t opened the app in a while. When an app prompts you for permission, you should ask yourself if you really want this particular app to cause a buzz in your pocket or appear on your lockscreen in the future. By being selective, you can help prevent your lockscreen turning into a free-for-all in the first place. Some services will keep your phone buzzing all day — like social networking apps — but these are often apps that many of us open several times a day anyway, making notifications largely pointless. The problem with too many notifications is that they lose their meaning after a while. A page full of notifications for things you don’t care about will rarely get looked at. Not only is it hard to spot what’s important among all the junk, it’s easy to dismiss things altogether. Notifications also drain your battery. 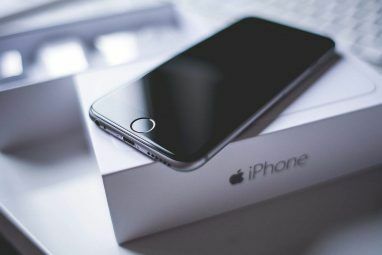 In addition network access, which can be especially draining when using cellular data, notifications turn your screen on and some even cause your phone to vibrate. The more you can minimize this behaviour, the more battery you will save. You can head to Settings > Notifications to see the apps that have requested and been granted permission to use your notifications, including those you have denied. Tap an app and toggle Allow Notifications to grant or revoke permission, and make further changes to the way the app can notify you. None: Choosing this option will still allow you to display notifications on the lockscreen and in the Notification Center, but you won’t get an alert of any incoming notifications while using your device. Banners: These appear at the top of the screen, and some apps (including Messages) allow you to “pull down” the notification in order to type a reply or perform some other type of action without launching the app and leaving what you’re doing. Alerts: Selecting this option will interrupt what you’re doing and require some sort of action before dismissing the notification, which is what happens when your alarm or timer alerts you while using your device. You’ll also get the option about whether to display a badge on top of the app icon. Badges are small red circles that (usually) indicate the number of missed notifications, and they’re not always necessary or helpful. Some weather apps The Weather Doesn't Have to be Dull With These iPhone Apps The Weather Doesn't Have to be Dull With These iPhone Apps I know it's going to rain — but isn't there a more engaging way of breaking the news? Read More use badges to display the current temperature. If you have an old email account connected to your iPhone that you don’t keep on top of any more, you can head to Settings > Notifications > Mail and disable the banner on a per-account basis to make your Mail badge useful again. You might also want to ask yourself if you really want to see badges on apps like Facebook or Instagram, particularly if you’re prone to checking your notifications each time you use them. Maybe you’re using a few apps for which notifications are handy, but things are getting out of control. Many of these allow you to adjust what notifications you receive within the apps themselves, allowing you to tone things down without losing the functionality completely. Instagram is the latest social media app to enable post notifications in the face of its new algorithmic timeline, but ask yourself if you really want to be notified every time someone you follow posts a picture. Facebook automatically enables notifications for each new group you join, so simply head to the group page and turn off notifications to reduce the volume. You might have enabled notifications within Twitter for certain users, but if they start posting with reckless abandon, then you can mute them by heading to their profile and turning notifications off. YouTube allows you to do the same with individual channels, which is especially handy when users start live streaming. Arguably the two places where notifications are most relevant, you can access the Notification Center by swiping down from the top of the screen at any time. You can also switch to the Today tab to peruse any widgets you have enabled. To customize how things appear, head back to Settings > Notifications. If you’d rather not see an app in your Notification Center (or lockscreen) you can remove it by tapping on it and unchecking the relevant option in this menu. Items will remain here until you launch the relevant app, or hit the cross next to the group. Notifications you receive while your phone is locked will always display chronologically, with the most recent at the top of the list. Notification Center gives you a little more control over how things are displayed. You can choose to Group by App, with the option of sorting things manually if you’d rather see certain items — phone calls, messages, email — at the top of the list. Don’t forget you can swipe an app left-to-right on the lockscreen to launch the app and be taken directly to that item, or swipe right-to-left to reply and access other functions directly from the lockscreen (where possible) or dismiss the notification by tapping the cross that appears. 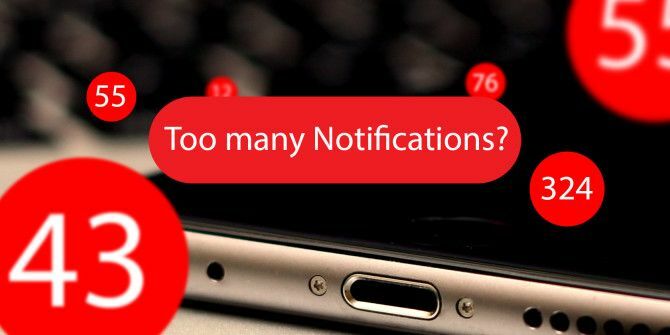 Once you’ve reduced the number of junk notifications you receive, you might want to think about adding even more notifications to your iPhone or iPad. Pushover is one of the best ways to do this, particularly since rival app Boxcar appears to have disappeared from the App Store. Pushover is a free app that comes with a seven-day trial, after which you’ll need to cough up $4.99 for a license. It allows you to add a range of notifications for non-iOS operations, like RSS alerts, IFTTT recipes 8 iPhone IFTTT Recipes You Can't Live Without 8 iPhone IFTTT Recipes You Can't Live Without When IFTTT launched an iPhone app in July, it opened up a whole slew of new possibilities about how to put the incredibly handy service to even better use than ever. Read More , GitHub events, Pidgin notifications, and more. If you’re interested in this functionality then we’ve previously discussed these apps in detail Put iOS Notifications To Work For You With These Apps Put iOS Notifications To Work For You With These Apps Did you know that with the right apps you can be notified about pretty much anything using your iPhone? Read More . You should also be aware that, by default, your notifications are accessible even when your phone is locked. If this sounds problematic, read our article about the privacy implications of leaving Siri and Notification Center accessible from a locked device Stop Siri & Notification Center Giving Away Your iPhone Secrets Stop Siri & Notification Center Giving Away Your iPhone Secrets Leaving your iPhone on the table while you go to the bar is okay if it's locked, right? After all, your mates can't access information or post slanderous messages on Facebook... right? Read More . So you’ve sorted out your notifications, but you want to make sure you never miss a thing. The plentiful Accessibility options VoiceOver Makes Apple Devices More Accessible Than Ever VoiceOver Makes Apple Devices More Accessible Than Ever President of the American Foundation of the Blind reckons that "Apple has done more for accessibility than any other company to date," — and VoiceOver played a big part in that. 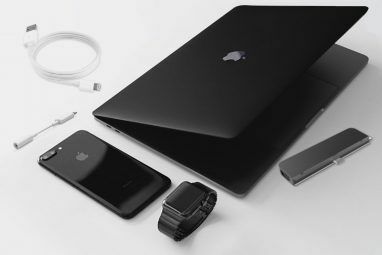 Read More within iOS allow you to flash the LED flash on the back of your device when receiving an alert — be it notification, an alarm, or an incoming phone call. Head to Settings > General > Accessibility, scroll down to “Hearing” and enable LED Flash for Alerts. This setting will use more battery and may draw attention to you when using your phone in the dark, so be aware of that. Believe it or not, some people disable notifications entirely simply by denying access to every app that asks. Others use apps like Pushover to increase the number of notifications they see. Regardless of what you do, it’s often a good idea to check your settings and revoke permission for any apps you find yourself frequently ignoring — it’ll save you battery and make notifications generally more useful. How do you use iOS notifications on your devices? Explore more about: iOS, iPhone, Notification, Notification Center.